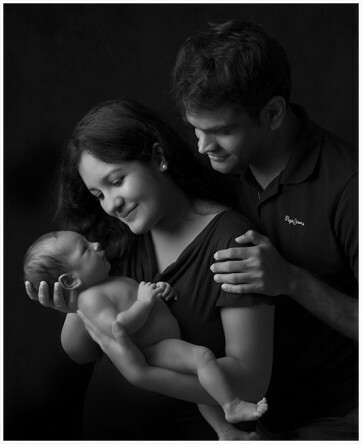 “We had a wonderful experience working with JJ for our new born baby’s photo shoot. Two things stand out for me in the whole experience. we had difficulty selecting the best ones). JJ’s work ethic and style clearly stood out for me. He is one of the very few photographers who shared the soft copies of ‘all’ the pictures from the photo shoot with us (for no extra charge). Secondly, JJ clearly loves what he does.This reflects in the quality and commitment of his work. He brings a positive energy to the entire photo shoot. He has a great ability to calm babies and everyone around. I remember when our baby pooped during the photo shoot (he was diaper less), we got worked up. JJ quickly washed and cleaned the baby, and made the environment lively again with his humor! We really appreciated his gesture, as it was beyond his call of duty. Overall we had a lovely experience and a memorable photo shoot. I look forward to working with JJ again.